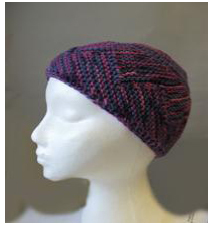 Artyarns P110 Zig Zag Hat Pattern! Buy knitting needles for use with this pattern! Just the book of cashmere sock patterns, Please!